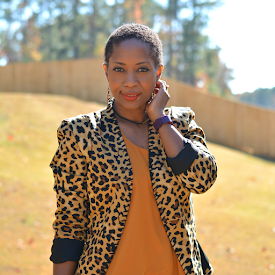 I'm ringing in the new year with champagne in hand and a do better mindset. My goal for the new year is to make better choices. Better choices with business. I'm striving to work smarter and not harder. Better choices with pleasure. I'm saving up for more travel and spending less time shopping. Better choices with my diet. I vow to drink more water and be conscious about what I put in my body. Of course, I'm only human and this human enjoys wine, cocktails and spirits! I won't be swearing them off in the new year but I am finding ways to go lighter. Not only is sparkling water a more delicious way to increase water consumption in itself, it's also quite tasty in champagne. 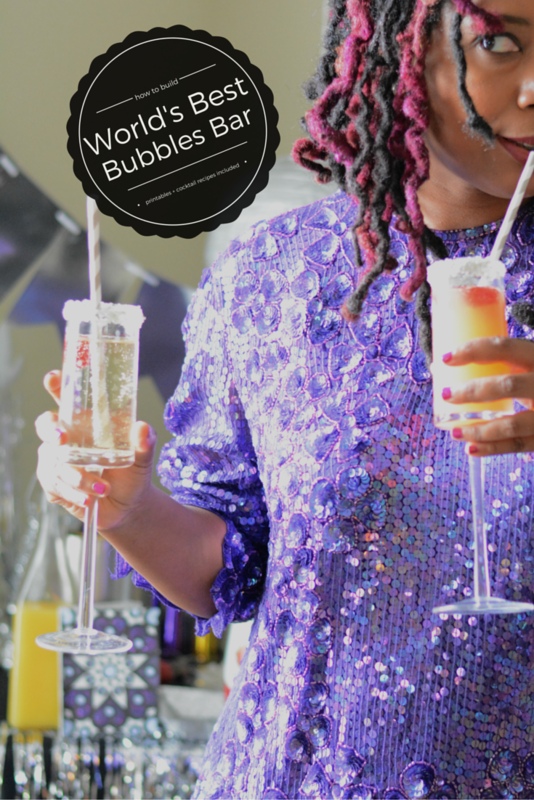 I can cut my champagne consumption in half by making champagne spritzers. I don't have to sacrifice flavor or bubbles when I use my SodaStream Power Automatic Sparkling Water Maker. Step 1: Bring in tons of sparkle. This is a great way to attract people to the drink table. 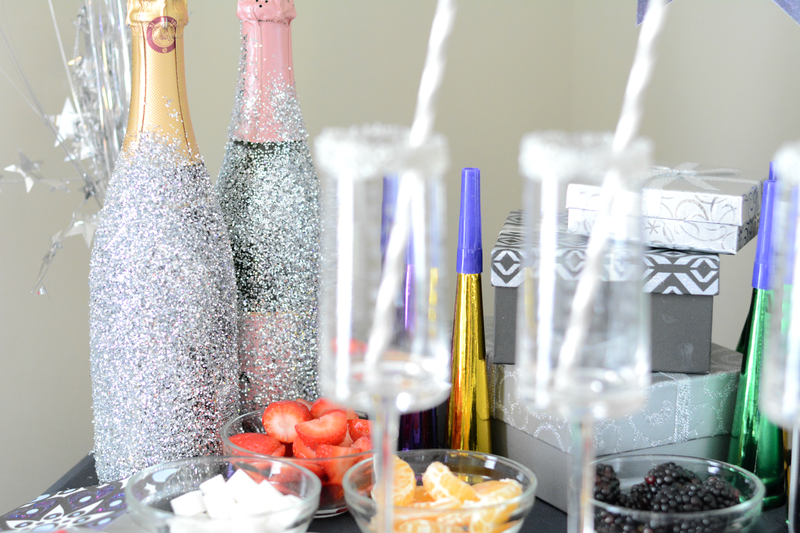 I covered champagne bottles in glitter for a fast and festive touch. Simply coat the bottle with adhesive spray, shake glitter on and then tap off the excess. I dressed up the table with shimmery tinsel, shiny noise makers, and decorative gift boxes. Step 2: Pick the right champs and mixers. I prefer a dry brut sparkling wine when "cocktailing" with bubbles because they're not sweet and you can find very good ones at a lower price point. Add additional drinks choices to make cocktails. Have a mix of alcoholic and non-alcoholic beverages. 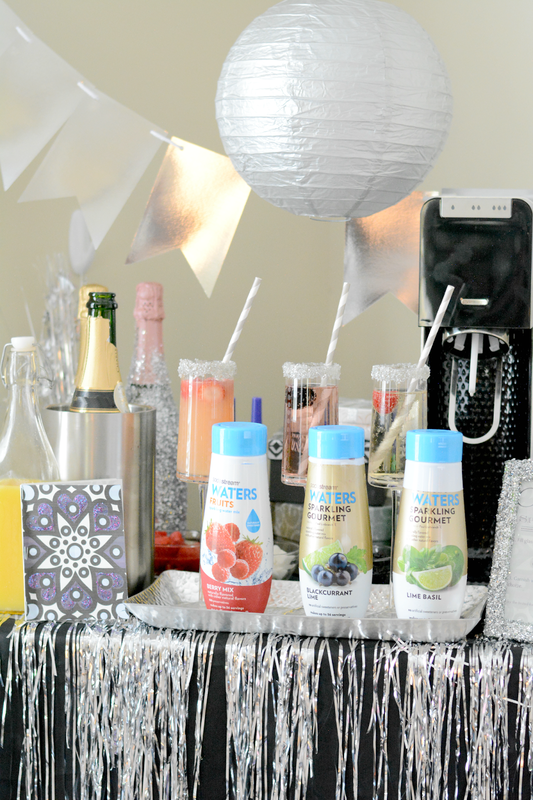 Because I am thoroughly enjoying my SodaStream Power, I included a bevy of SodaStream Sparkling Drink Mixes. You can also add different types of juices and liqueurs. For example, classic orange juice and elderflower liqueur is very good with champs. Don't forget fruit options too that can be used as garnish or muddled into the cocktail. My table includes raspberries, strawberries, blackberries, and oranges. Blueberries, lemon and lime wedges are great choices too. As I'm going for more water in the new year, my champagne glass is filled mostly with sparkling water. I'm not missing out on any of the bubbles though with SodaStream Power. There are three fizz option levels. I like my bubbles on level 3 tapped twice! 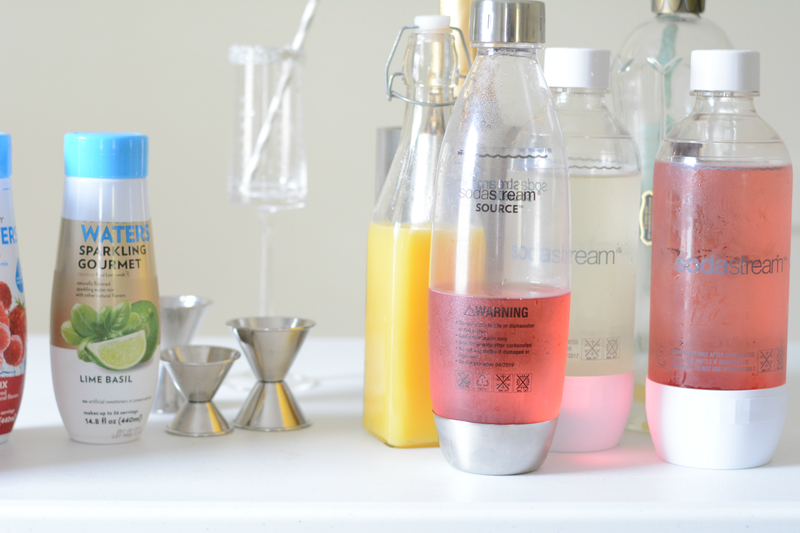 the SodaStream Sparkling Drink Mixes are naturally flavored and a great low calorie option too. My favorite drink mixes are from the SodaStream Waters line. SodaStream and Chef Paul Liebrandt created some pretty spectacular flavor combinations using high-quality natural ingredients. BlackCurrent Lime and Lime Basil are both used in creating my signature champagne spritzers. Step 3: Prepare your signature beverages. Make a few inspiration cocktails ahead of time so guests have a place to start. 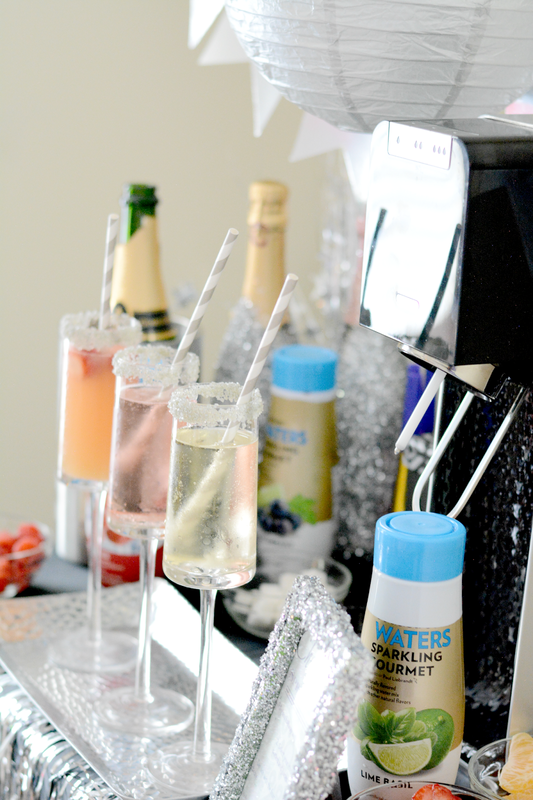 My champagne bar drinks are inspired by the new year and having It's A Wonderful Life on repeat right now. They're more champagne spritzer than cocktail. 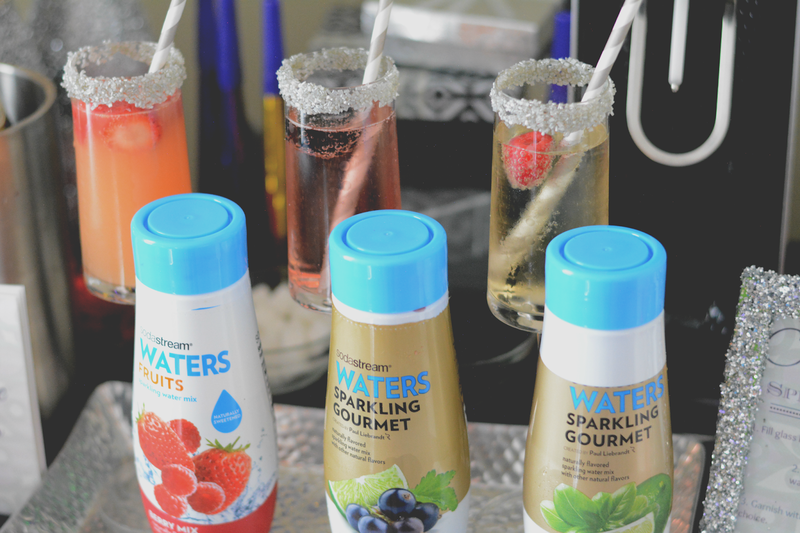 They're light, refreshing and fun mixes. Place sugar cube in bottom of champagne glass. Pour champagne then top with SodaStream Lime Basil. Muddle strawberries in bottom of glass. 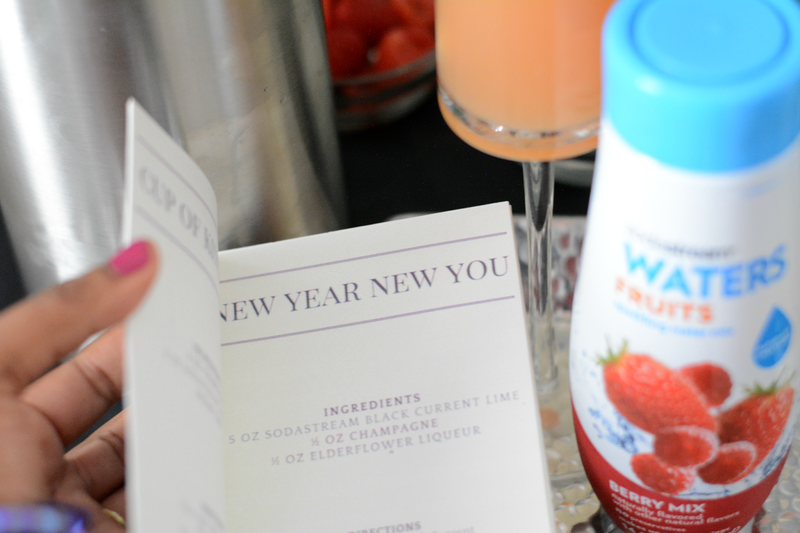 Add champagne, SodaStream Berry Mix, and orange juice. Stir. Pour SodaStream BlackCurrent Lime, champagne, and elderflower liqueur into a glass. Stir. Add squeeze of lime. Garnish with lime wedge. Feel free to print the recipe cards here. How are you ringing in the New Year? Does it involve something sparkling? FYI, If you're looking to give the gift of sparkling water, you can pick up SodaStream Power at your nearest retailer or visit SodaStreamusa.com. Current offers include a free shipping on all orders over $50.